The Fast Track Profit System is the most complete educational course ever developed by Cody and his team. When you get on the Fast Track you simply follow Cody’s 6 Step system, finally putting you on a direct path to wealth. No more guessing or trial and error, just do what Cody teaches and make money. 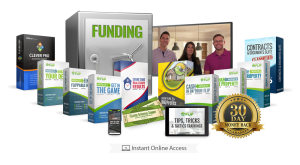 The Fast Track system includes over 20+ high-quality video training modules as well as bonus audio training and all the legal contracts and resources you need to start profiting in real estate fast. The system focuses on creating 4 primary profit centers including wholesaling for a quick profit and buying property to rent for long-term wealth. As a real estate investor, you have a lot of things to keep up with if you want to be successful. There is everything from finding leads and sourcing deals, analyzing properties, establishing an online presence, communicating with prospects, keeping your deal flow organized, the list goes on and on. But what if you had something that could manage that entire process for you? Well, believe it or not, it actually is possible, but only if you have the right tool. The Deal Automator is that tool. 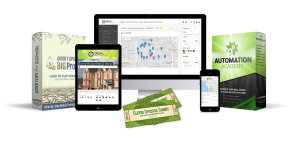 It helps you find discounted deals, quickly analyzes properties, organizes your deal flow, creates beautiful customizable websites within minutes, and perhaps most importantly, automates marketing communication with your prospects. You can send automated text messages, direct voicemails, emails drip campaigns, and more. It is the All-in-One Real Estate Automation Package. The best part is, this tool is designed with the user in mind so you don’t have to be a “techie” to use it. This is an absolute must-have tool for anyone serious about making big money in Real Estate. The Complete House Flipping System. Join Cody, Ken and Anita Corsini from HGTVs hit show ‘Flip or Flop Atlanta’. It includes 6 Step-by-Step Modules including [list the name of modules only]. Plus bonus training which includes: [list the 5 bonuses]. The Your First Flip also includes a complete Document, Script and Contract Suite, real-world Deal Case Studies plus a 1-On-1 Strategy Call with Cody’s Business Development Consultant to get you focused in your real estate investing business. 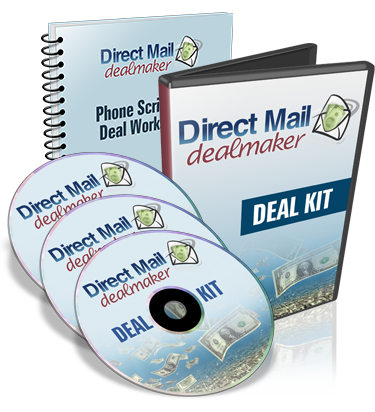 The Direct Mail Deal Maker is the result of years and years of hard work, test marketing, and field research. The end result? An absolute turn-key system, even including Cody’s personal distribution and printing connection for push-button direct mail fulfillment, to immediately put the most hyper-responsive direct mail pieces to work generating every kind of lead imaginable on demand for you (foreclosures, probate, distressed properties, absentee owners, fire damaged homes and more). This will get your phones ringing and your business booming! This is all about less studying and more doing! Getting the right education to succeed as a real estate investor is one thing. Putting that education into action is a whole different story. By working with a world-class mentor you get the 1-on-one accountability you need to ensure your goals become a reality. With Clever Investor mentoring, Cody Sperber and his top advisers get you into the game and push as hard as you want so you have no choice but to make money in real estate. 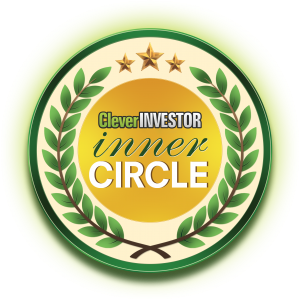 While spots are extremely limited, from time to time Clever Investor will accept serious students who are ready to make real estate investing their vehicle to increased income and improved quality of life. Lazy individuals and excuse-makers need not apply.